City Oliers’ Otim Jonah (23) receives a pass against Ndejje (Photos by FUBA Media). 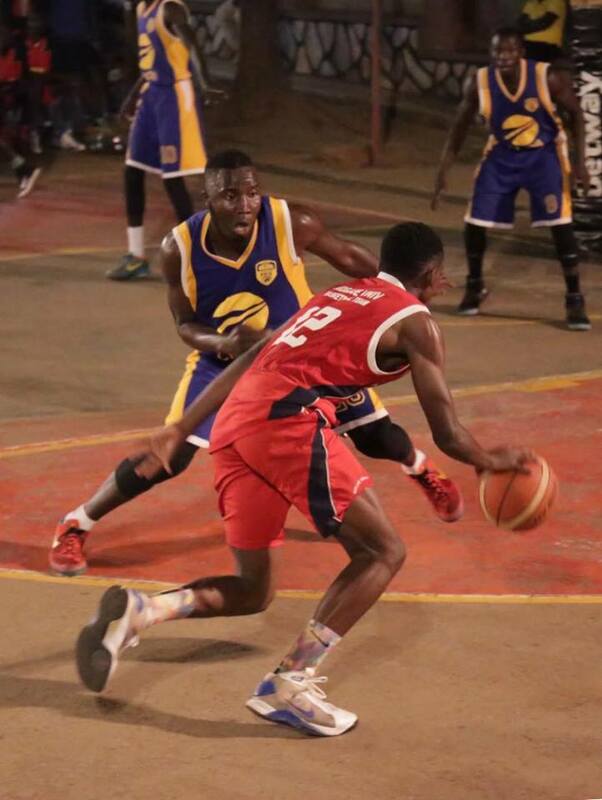 Ndejje University Angels inflicted a third loss of the season on defending champions City oil on Friday evening at the YMCA court. The University side overcame an 11 point deficit in the second quarter to run away 59-58 winners on the day. In the first quarter, Ndejje raced into a 8-1 lead with just over five minutes played, thanks to four two-point baskets from as many players. Oliers started growing into the game and brought it to win in one point with two minutes to play thanks to the trio of Landry Ndikumana, Drileba Tony and Ben Komakech who all converted two point shots. By the end of the quarter, Oilers took their first lead thanks to another two by Ndikumana which ensured that they led 12-11. The Five time defending champions looked set to run away with the game as a strong second quarter display culminated into a seven point lead at half time with the score-board reading 26-19 in their favour. Ndejje where not going to go down without a fight and stole the show again in the third, winning it 21-13 and in the process making it a one point game as the Oliers led 40-39. Ndejje’s Gautheir Badhera (12) tries to get past City Oil’s Jonah Otim at YMCA on Friday. The lead exchanged hands in the final quarter four times but Ndejje never looked back when they matched up 49-43 with just over three minutes to play and ensured that they registered third win of the season. Gautheir Badhera and MJartin Buluma scored a team 15 points each for the University side with the former adding six rebounds and seven assists to his tally for the night. Ben Komakech put out a game high 22 points, Landry scored a double-double of 15 points and 13 rebounds for the Oilers who seem to be struggling since the start of the season. This is the third loss for the Defending champions after they lost 56-64 to Betway Power on opening day and then 57-72 KIU Titans. 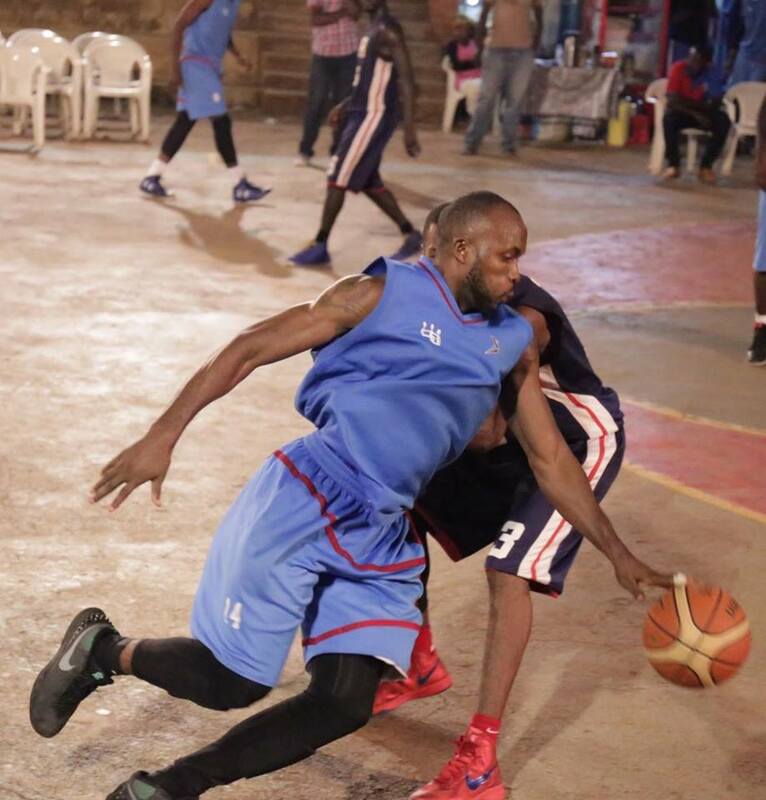 The Oilers will hope to return to winning ways against UPDF Tomahawks in Saturday at the KIU Courts. They are without the star trio of Captain Jimmy Ennabu, national team skipper Stephen Omony and guard James Okello who are away with the Silver-Backs in Turkey as part of preparations for the FIBA World Cup qualifiers slatted for later this month. The Ndejje Angels will return to action on June 24 against Power before ending the first round on June 29 against KIU Titans. 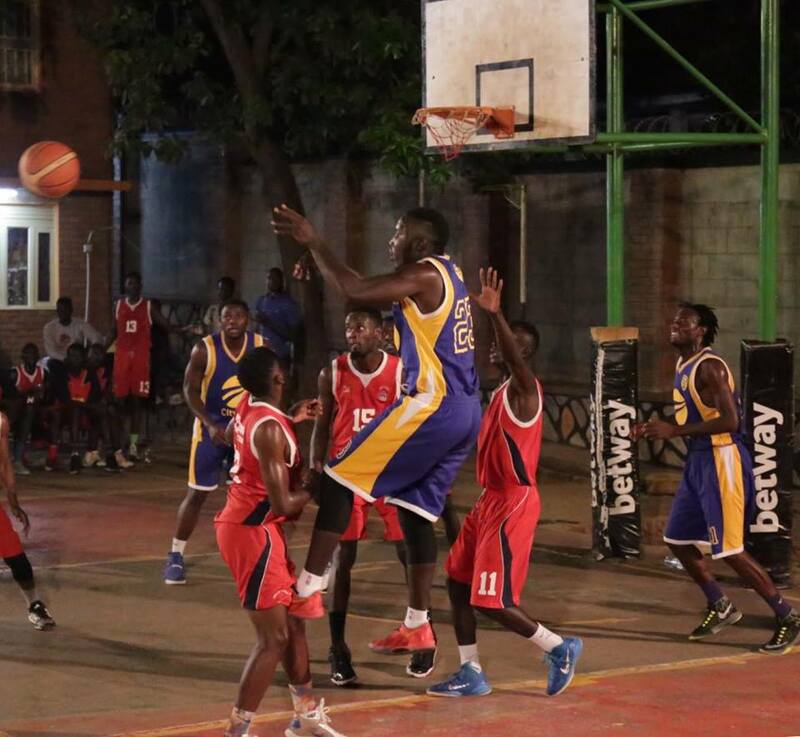 In the other first game of the evening, David Deng and Caesar Adoke scored 15 and 11 points respectively as UCU edged Sharing Youth in a 52-59 victory. It was the Canons’s fifth victory of the season while Sharing has lost four so far. Isaac Balita and Emmanuel Okumu top scored for Sharing with 12 and 10 points respectively. Sharing are back in action on Saturday with a date with the Rhinos.